The Grand Cherokee (except Laredo) offers an optional collision warning system, which detects an impending crash through forward mounted sensors and flashes a bright light and sounds a loud, distinctive tone to warn the driver to brake or maneuver immediately to avoid a collision. The 4Runner doesn't offer a collision warning system. The Grand Cherokee Limited/Overland/Summit has standard parking sensors to help warn the driver about vehicles, pedestrians or other obstacles behind or, for the Grand Cherokee Summit in front of the vehicle. The 4Runner doesn’t offer a front parking aid. The Grand Cherokee (except Laredo)’s optional blind spot warning system uses digital cameras monitored by computer to alert the driver to moving objects in the vehicle’s blind spots where the side view mirrors don’t reveal them. The 4Runner doesn’t offer a system to reveal objects in the driver’s blind spots. To help make backing safer, the Grand Cherokee (except Laredo)’s optional cross-path warning system uses wide-angle radar in the rear bumper to alert the driver to vehicles approaching from the side, helping the driver avoid collisions. The 4Runner doesn’t offer a cross-path warning system. For better protection of the passenger compartment, the Grand Cherokee uses safety cell construction with a three-dimensional high-strength frame that surrounds the passenger compartment. It provides extra impact protection and a sturdy mounting location for door hardware and side impact beams. The 4Runner uses a body-on-frame design, which has no frame members above the floor of the vehicle. Both the Grand Cherokee and the 4Runner have standard driver and passenger frontal airbags, front side-impact airbags, driver knee airbags, side-impact head airbags, front seatbelt pretensioners, height adjustable front shoulder belts, plastic fuel tanks, four-wheel antilock brakes, traction control, electronic stability systems to prevent skidding and available all wheel drive. Instrumented handling tests conducted by the National Highway Traffic Safety Administration and analysis of its dimensions indicate that the Grand Cherokee is 3.9% to 7.8% less likely to roll over than the 4Runner. Jeep’s powertrain warranty covers the Grand Cherokee 40,000 miles longer than Toyota covers the 4Runner. Any repair needed on the engine, transmission, axles, joints or driveshafts is fully covered for 5 years or 100,000 miles. Coverage on the 4Runner ends after only 5 years or 60,000 miles. 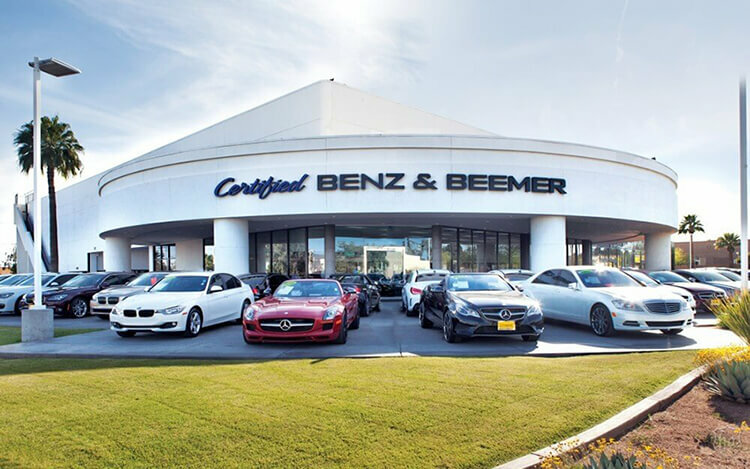 There are over 2 times as many Jeep dealers as there are Toyota dealers, which makes it much easier should you ever need service under the Grand Cherokee’s warranty. J.D. Power and Associates rated the Grand Cherokee third among midsize crossover/SUV’s in their 2012 Initial Quality Study. The 4Runner isn’t in the top three. The Grand Cherokee’s standard 3.6 DOHC V6 produces 20 more horsepower (290 vs. 270) than the 4Runner’s 4.0 DOHC V6. The Grand Cherokee’s optional 5.7 V8 produces 90 more horsepower (360 vs. 270) and 112 lbs.-ft. more torque (390 vs. 278) than the 4Runner’s 4.0 DOHC V6. The Grand Cherokee’s 3.0 turbo V6 diesel produces 142 lbs.-ft. more torque (420 vs. 278) than the 4Runner’s 4.0 DOHC V6. An engine control system that can shut down half of the engine’s cylinders helps improve the Grand Cherokee V8’s fuel efficiency. The 4Runner doesn’t offer a system that can shut down part of the engine. The Grand Cherokee has 1.6 gallons more fuel capacity than the 4Runner (24.6 vs. 23 gallons), for longer range between fill-ups. The Grand Cherokee has a standard cap-less fueling system. The fuel filler is automatically opened when the fuel nozzle is inserted and automatically closed when it’s removed. This eliminates the need to unscrew and replace the cap and it reduces fuel evaporation, which causes pollution. The 4Runner doesn’t offer a cap-less fueling system. The Grand Cherokee’s optional tires provide better handling because they have a lower 50 series profile (height to width ratio) that provides a stiffer sidewall than the 4Runner Limited’s 60 series tires. For superior ride and handling, the Jeep Grand Cherokee has fully independent front and rear suspensions. An independent suspension allows the wheels to follow the road at the best angle for gripping the pavement, without compromising ride comfort. The Toyota 4Runner has a solid rear axle, with a non-independent rear suspension. The Grand Cherokee offers an optional automatic front and rear load leveling suspension to keep ride height level with a heavy load or when towing. The Grand Cherokee’s height leveling suspension allows the driver to raise ride height for better off-road clearance and then lower it again for easier entering and exiting and better on-road handling. The 4Runner doesn’t offer a load leveling suspension. For a smoother ride and more stable handling, the Grand Cherokee’s wheelbase is 5 inches longer than on the 4Runner (114.8 inches vs. 109.8 inches). The Grand Cherokee Overland 4x4 handles at .74 G’s, while the 4Runner Trail 4x4 pulls only .73 G’s of cornering force in a Car and Driver skidpad test. The Grand Cherokee Overland 4x4 executes Motor Trend’s “Figure Eight” maneuver 1.3 seconds quicker than the 4Runner Trail 4x4 (28.2 seconds @ .58 average G’s vs. 29.5 seconds @ .55 average G’s). For greater off-road capability the Grand Cherokee Quadra-Lift has a 1.7 inches greater minimum ground clearance than the 4Runner (11.3 vs. 9.6 inches), allowing the Grand Cherokee to travel over rougher terrain without being stopped or damaged. Unibody construction makes the Grand Cherokee’s chassis much stiffer, which contributes to better handling, and enables softer springs to be used for a better ride. Unibody construction’s stiffness also contributes to better durability and less body squeaks and rattles. The 4Runner doesn’t use unibody construction, but a body-on-frame design. The Grand Cherokee has .6 inches more front headroom, .5 inches more front hip room, .9 inches more front shoulder room, .6 inches more rear headroom, 5.7 inches more rear legroom, .5 inches more rear hip room and .2 inches more rear shoulder room than the 4Runner. To make loading and unloading groceries and cargo easier, especially for short adults or children, the Grand Cherokee offers an optional power rear liftgate, which opens and closes completely automatically by pressing a button on the key fob. The 4Runner doesn’t offer a power liftgate. The Grand Cherokee offers a remote vehicle starting system, so the vehicle can be started from inside the driver's house. This allows the driver to comfortably warm up the engine before going out to the vehicle. The driver can also remotely turn on the heater or air conditioner. The 4Runner doesn’t offer a remote starting system. The engine computer on the Grand Cherokee automatically engages the starter until the car starts with one twist of the key and disables the starter while the engine is running. The 4Runner’s starter can be accidentally engaged while the engine is running, making a grinding noise and possibly damaging the starter and ring gear. When two different drivers share the Grand Cherokee Limited/Overland/Summit, the memory system makes it convenient for both. Each setting activates different, customized memories for the driver’s seat position, steering wheel position (with optional power wheel adjuster), outside mirror angle and radio stations. The 4Runner doesn’t offer a memory system. The Grand Cherokee Limited/Overland’s standard easy entry system raises the steering wheel and glides the driver’s seat back when the door is unlocked or the ignition is switched off, making it easier for the driver to get in and out. The 4Runner doesn’t offer an easy entry system. The Grand Cherokee’s instruments include an oil pressure gauge and a temperature gauge – which could save your engine! Often ‘idiot lights’ don’t warn you until damage has been done. The 4Runner does not have an oil pressure gauge. The power windows standard on both the Grand Cherokee and the 4Runner have locks to prevent small children from operating them. When the lock on the Grand Cherokee is engaged the driver can still operate all of the windows, for instance to close one opened by a child. The 4Runner prevents the driver from operating the other windows just as it does the other passengers. On a hot day the Grand Cherokee’s driver can lower the front windows using the key in the outside lock cylinder or the keyless remote. The driver of the 4Runner can’t use the remote to operate the windows. The Grand Cherokee has a standard locking fuel door with a remote release located convenient to the driver. A locking fuel door helps prevent vandalism, such as sugar in the tank and fuel theft. The 4Runner doesn’t offer a locking fuel door. The Grand Cherokee’s optional wipers adjust their speed and turn on and off automatically according to the amount of rainfall on the windshield. The 4Runner’s manually variable intermittent wipers have to be constantly adjusted. To improve rear visibility by keeping the rear window clear, the Grand Cherokee has a standard rear fixed intermittent wiper with a full on position. The rear wiper standard on the 4Runner only has an intermittent setting, so in a hard rain visibility isn’t as good. In poor weather, headlights can lose their effectiveness as grime builds up on their lenses. This can reduce visibility without the driver realizing. The Grand Cherokee Summit has standard headlight washers to keep headlight output high. The 4Runner doesn’t offer headlight washers. The Grand Cherokee has a standard automatic headlight on/off feature. When the ignition is on, the headlights automatically turn on at dusk and off after dawn. When the ignition turns off, the headlights turn off after a delay timed to allow you to securely get to your front door. The 4Runner has an automatic headlight on/off feature standard only on the Limited. While driving with high beams on, sensitive light sensors available for the Grand Cherokee (except Laredo) detect other vehicles which could be blinded and automatically switch to low beams. The 4Runner doesn’t offer automatic dimming high beams. To help drivers see further while navigating curves, the Grand Cherokee Summit has standard adaptive headlights to illuminate around corners automatically by reading vehicle speed and steering wheel angle. The 4Runner doesn’t offer cornering lights. The Grand Cherokee’s power mirror controls are mounted on the armrest for easy access. The 4Runner’s power mirror controls are on the dash, hidden behind the steering wheel, where they are awkward to manipulate. When the Grand Cherokee Limited/Overland/Overland Summit is put in reverse, both rearview mirrors tilt from their original position. This gives the driver a better view of the curb during parallel parking maneuvers. Shifting out of reverse puts the mirrors into their original positions. The 4Runner’s mirrors don’t automatically adjust for backing. The Grand Cherokee Overland/Summit has standard automatic dimming rear and side view mirrors which automatically darken quickly when headlights shine on them, keeping following vehicles from blinding or distracting the driver. The 4Runner offers an automatic rear view mirror, but its side mirrors don’t dim. Both the Grand Cherokee and the 4Runner offer optional heated front seats. The Grand Cherokee Limited/Overland/Summit also has standard heated rear seats to keep those passengers extremely comfortable in the winter. Heated second row seats aren’t available in the 4Runner. 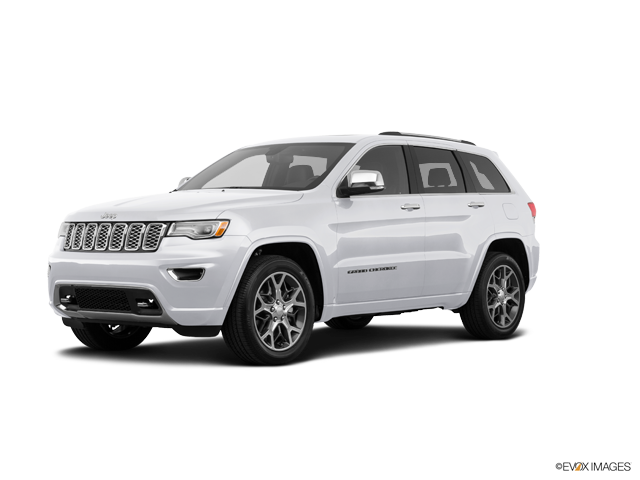 The Grand Cherokee (except Laredo)’s optional air conditioned front seats cool the driver and front passenger and help take the sting out of hot leather in Summer. The 4Runner doesn’t offer air conditioned front seats. The Grand Cherokee has a standard dual zone air conditioning allows the driver and front passenger to choose two completely different temperatures so people with different temperature preferences won’t have to compromise. This makes both the driver and front passenger as comfortable as possible. Dual zone air conditioning is only available on the 4Runner Limited. To keep a safe, consistent following distance, the Grand Cherokee (except Laredo) offers an optional Adaptive Speed Control, which alters the speed of the vehicle without driver intervention. This allows the driver to use cruise control more safely without constantly having to disengage it when approaching slower traffic. The 4Runner doesn’t offer an adaptive cruise control. To help keep rear passengers entertained, the Grand Cherokee offers optional rear seat controls for the radio which can play a separate audio source. The 4Runner doesn’t offer rear seat audio controls. According to The Car Book by Jack Gillis, the Grand Cherokee is less expensive to operate than the 4Runner because typical repairs cost much less on the Grand Cherokee than the 4Runner, including $62 less for a water pump, $158 less for a starter, $157 less for fuel injection, $84 less for a fuel pump, $800 less for a timing belt/chain and $184 less for a power steering pump.